A Lagos State High Court, Igbosere, on Thursday sentenced Okwumo Nwabuzor and his nephew, Olisaeloka Ezike, to death by hanging for killing a postgraduate student, Cynthia Osokogu whom they lured from Nasarawa to Lagos before strangling her in an hotel in Festac Town in 2012. While delivering the judgement in the case that lasted four hours, the visibly angry judge, Olabisi Akinlade, said the accused deserved the sentence as they were not remorseful of their action, and were telling the court lies after offering confessional statements to the police. The judge also found the duo guilty on three other counts and sentenced them to a total of 20 years imprisonment each. They were sentenced to 14 years in jail for conspiracy to commit murder, three years for conspiracy to commit felony by stealing, and three years for stealing a Blackberry phone. 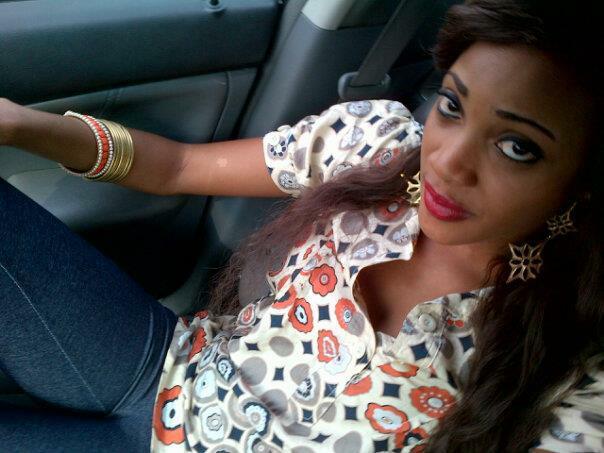 Ms. Osokogu, 25, was lured to Lagos by Mr. Nwanbufor, 37, whom she met on Facebook. The court said Mr. Nwanbufor drugged and murdered her in Cosmilla Hotel, Lakeview Estate, Festac Town with the assistance of his nephew, Mr. Ezike, 27. Two others, Orji Osita, a pharmacist who sold Ropynol, the drug used on the deceased, and Ezike Nonso, the brother of the second defendant, were charged with reckless and negligent act, and with possession of stolen property. The judge acquitted and discharged Messrs. Osita and Nonso. While delivering the judgement, Mrs. Akinlade said she relied on the evidence and testimonies provided by the prosecution. She said having carefully analysed the evidence and testimonies before the court, the prosecution proved beyond reasonable doubt that Messrs. Nwabufor and Ezike murdered Ms. Osokogu. “The evidence of the prosecution remained uncontroverted and relies mainly on the testimonies of witnesses and evidence,” she said. She recounted in graphic details how the deceased was lured by the convicts who promised to help her buy goods at cheap prices in Lagos. After she arrived Lagos, she was lodged in the hotel where she was drugged, chained and her gagged with a sellotape. Her hands were also tied behind her back with the sellotape. Following the testimony of the pathologist who conducted an autopsy on Ms. Osokogu, the court ruled that she died of asphyxiation caused by the blocking of her airways with cloth materials held in place by sellotape. Though the convicts pleaded not guilty and tried to withdraw the confessional statement they made to the police, claiming they were made under duress, the court admitted the statements they were corroborated by the testimonies of the witnesses and the evidence provided by the police. The judge said the fact that the police produced a video footage of the convicts making the confessional statement also helped in countering the claim by the convicts that they made the statement under duress. “The court was satisfied that the confessional statements were not given under duress and admitted them in evidence. A confession is sufficient to gain conviction,” she said. “The confessional statement of the accused is consistent with the state of the body and consistent to the medical evidence. I shall act on it accordingly,” she said. The judge specifically thanked the Area E police division in Festac Town, and particularly Joseph Edo, a police inspector who apprehended the accused, for a thorough investigation. The judge also dismissed the claim by Mr. Nwabufor that Ms. Osokogu was his fiancee and was going to introduce him to her father, saying that under cross-examination he could not tell the deceased’s birthday, the name of her mother, a home town or in fact anything about her. “It is very clear that the first defendant is untruthful and deceived the court,” she said. In sentencing both men to death by hanging, the judge said it was no longer relevant to know who, between the two, actually killed Ms. Osokogu. “The second defendant acted in consent with the first defendant and will bear the consequences of their action irrespective of whoever committed the offence. The accused persons displayed no emotion after the sentence was read. They hid their faces from journalists who were trying to photograph them, and were quickly led away from the court room into the waiting Black Maria outside the court premises.